Manchester United’s longest transfer saga of the previous summer is back to haunt them. The Red Devils were desperately scouting for a striker after Zlatan Ibrahimovic left the club at the end of the 2016/17 season. Atletico Madrid star Antoine Griezmann was reportedly at the top of their wishlist, but the French international decided to stay put in Spain for another year. United then went on to sign Romelu Lukaku, but as effective as the Belgian has been, Griezmann would still improve any attack greatly, which is why he is once again a transfer target for the Mancunian club this summer. 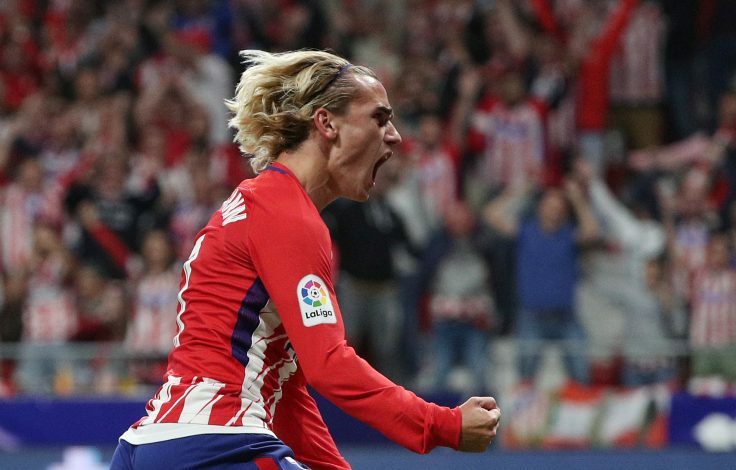 Griezmann enjoyed decent form for the Madrid giants in the recently concluded season, helping them to a place in the Champions League and also the Europa League title. He remains one of the best strikers in world football at the moment, and has been a transfer target for Catalan giants Barcelona for quite a while. Manager Ernesto Valverde sees the player as a long-term replacement for Luis Suarez at Camp Nou, but a deal is yet to materialize. However, latest reports from Spain now claim that Manchester United are closer to landing the Atleti star than Barcelona. Diario Gol claims that negotiations with Barcelona hit a slag long time ago, and the 27-year-old’s move to Camp Nou is now looking unlikely. Griezmann would supposedly prefer to stay back in Madrid, but he could also be tempted to move to Manchester United, who have been his long-term admirers. The talented forward has a release clause of £87.5m, and Jose Mourinho will now be tempted to activate it and bring him to England this summer. Do you think Griezmann will play in a United shirt next season?